You’ll quickly see how we set ourselves apart from other roofing companies by caring for your home, your yard, and you, our valued customer in Concord. There are a lot of roofing companies out there today that will say they provide the services you need, but you soon learn they don’t have the manpower, equipment, or experience to truly do the job well. 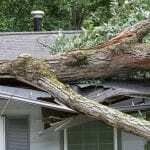 The problem with this scenario is that your roof is a crucial part of your home, and you want your roofing company to provide expert services and leave you with a high-quality roof. At JM Reynolds Builders, LLC, we understand that you may have called other roofing companies and are frustrated with the answers they give you. The good news is that we do things a little bit differently, and we always put our customers first. 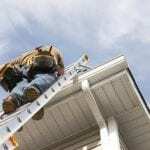 Compared to other roofing companies in the Concord, North Carolina area, we have the years of experience, the highly-trained team, and the licensing and insurance to ensure that the job is done well. We can assist with your roofing requirements, whether you’ve had storm damage or your roof has reached the end of its lifetime. Regardless of the reason you may be calling roofing companies, you’ll find our team at JM Reynolds Builders, LLC ready and equipped to provide the roofing services and solutions that give your home the protection it needs. When you call on us at JM Reynolds Builders, LLC, you’ll quickly see how we set ourselves apart from other roofing companies by caring for your home, your yard, and you, our valued customer. Contact us today for more information about our services and to schedule an estimate for your roofing needs. At JM Reynolds Builders, LLC, we are proud to be one of the roofing companies serving Concord, Kannapolis, Cabarrus County, Charlotte, Salisbury, Mooresville, Huntersville, Granite, Quarry, Davidson, and Paw Creek, North Carolina.